Lunch Plus One is a simple outing to enjoy with a friend or visiting relatives or guests. What better way to celebrate autumn than dining while watching the Ohio River roll by and then taking a scenic drive along its banks. Lunch offerings at River House also include items from their raw bar. 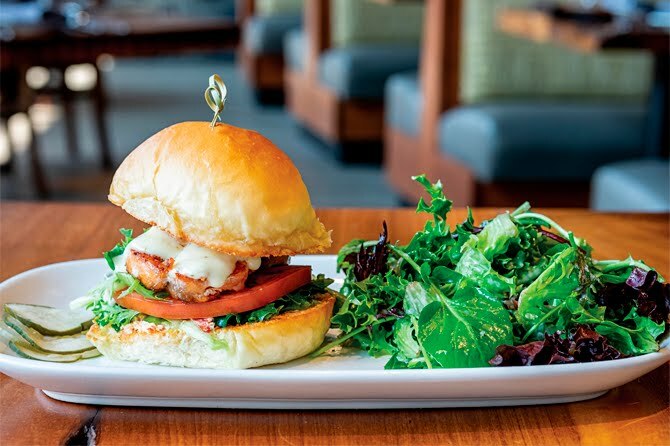 River House is the perfect spot to spend an hour or two eating lunch — inside or outside on the patio — and taking in its view of the Ohio River. We are fortunate to have such an historic river flowing alongside our city. River House is a spectacular contemporary restaurant opened by Chef John Varanese. 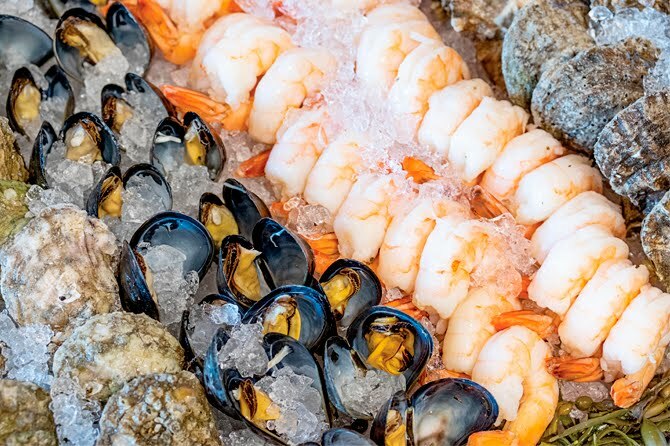 For lunch you can choose from the Raw Bar where you will find oysters on the halfshell, jumbo shrimp, and chilled lobster. 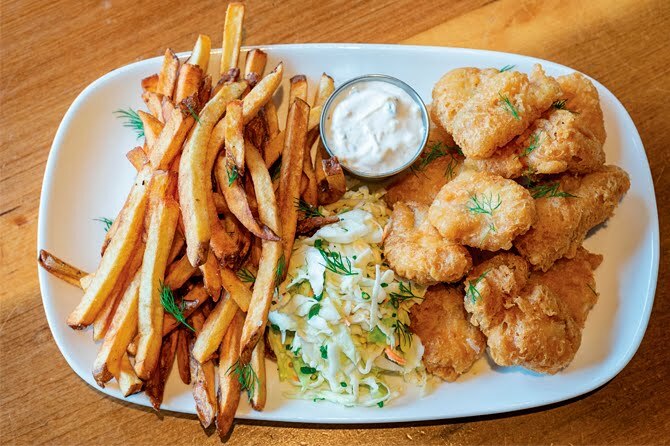 Or perhaps you would rather dive into a hearty portion of fish and chips. 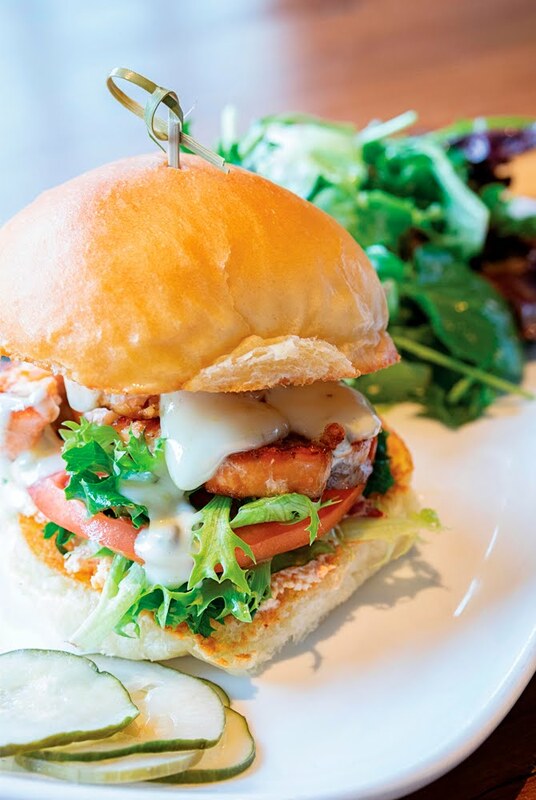 There are Po’Boys, salads, and sandwiches — the smoked salmon with a sun-dried tomato goat cheese spread, spicy greens, and lemon-caper aioli on brioche bun is especially tasty. Eat your fill and be happy. Turn left out of River House’s drive and head up River Road. This time of year the trees on both sides of the river are shrugging on sweaters in fall colors of yellow and orange. Take time to enjoy the peaceful drive on this two-lane road that meanders for seven miles along the river and ends in Prospect at US 42. At that point, you could stop in at the Homemade Ice Cream & Pie Kitchen (it will be on your right at the stoplight) for a scoop of ice cream and then retrace your steps and head back along River Road and catch stunning views of Louisville’s skyline. An afternoon well spent.